MOSCOW, Feb 16 (PRIME) -- Germany sees Russia’s Nord Stream-2 natural gas pipeline project as no threat to energy diversification of the E.U., German Chancellor Angela Merkel said on Friday in a news conference following her meeting with Poland’s Prime Minister Mateusz Morawiecki. Warsaw and Berlin have different views on the project. “We think this is an economic project. We are also for energy diversification. We also want Ukraine to continue to have transit gas traffic, but we believe Nord Stream poses no danger to diversification,” she said. The Nord Stream-2 project envisages construction of two lines of a natural gas pipeline with an annual capacity of up to 55 billion cubic meters, running from the Russian shore to Germany under the Baltic Sea. 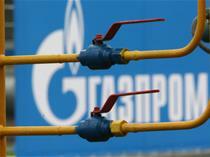 Gazprom will implement the project together with its European partners – Shell, OMV, Engie, Uniper, and Wintershall.